Barça Lassa small/power forward Rolands Smits is currently in Ventspils in his native Latvia getting into shape for the preseason. The 23-year-old joined the Catalan club last summer, but spent the season on loan back to Fuenlabrada, the club where he has been playing since he was 16. 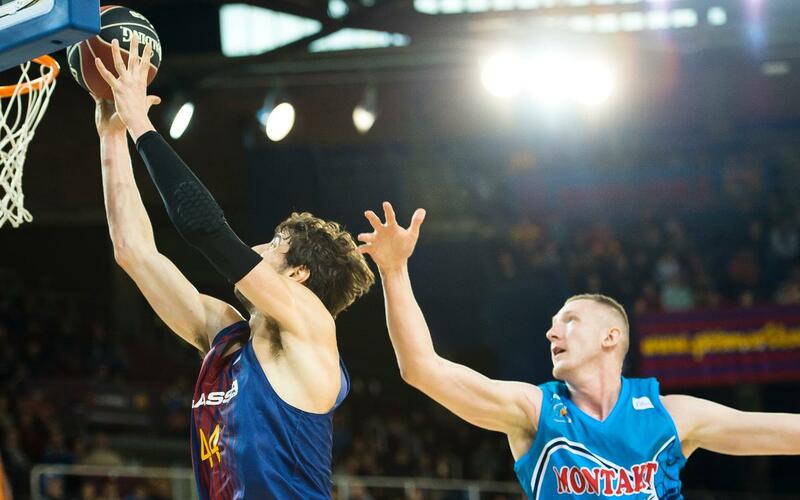 You joined Barça a year ago, but now you will be part of the first team and playing in the Euroleague. How does that feel? “I’m very happy. It’s a great opportunity, a dream come true. I’m looking forward to starting with the team. Barça has a lot of history. It’s one of the best teams in Europe. Playing in the Euroleague … I can’t put it into words”. What do you expect from your first season with Barcelona? What can people expect from you? Both in terms of playing level and the positions you play? I hope to do my best in every game to help the team to win. I always give it 100%, I don’t hold anything back. I’m an intense player. As for position, there’s little difference these days between a small or power forward. I feel comfortable with either role, although last season I was more of a power forward. Everything. I don’t think I’ve reached my limit yet. I mostly have to improve my footwork, speed and my 3-point conversions. But there’s always room for improvement, no matter how old you are. You’re training every day in Latvia. What can you tell us about that? Well, I started working out in Riga with a friend, and now I’m in Ventspils training twice a day. I working on technique and fitness, so that I’m in the best possible shape for the preseason. You came to Spain to join Fuenlabrada in 2011 when you were just 16. What does that club mean to you? A lot. I’m very grateful to Fuenlabrada. It’s where I grew as a player and a person. I arrived when I was 16 and have improved every year thanks to the coaches, the people at the club, my team-mates … I’ll always be grateful for everything they did for me.